Romantic Oceanview Guesthouse. Steps from the Beach! Lovely Studio, A/C, 1 Bath, (Sleeps 2) Just remodeled! 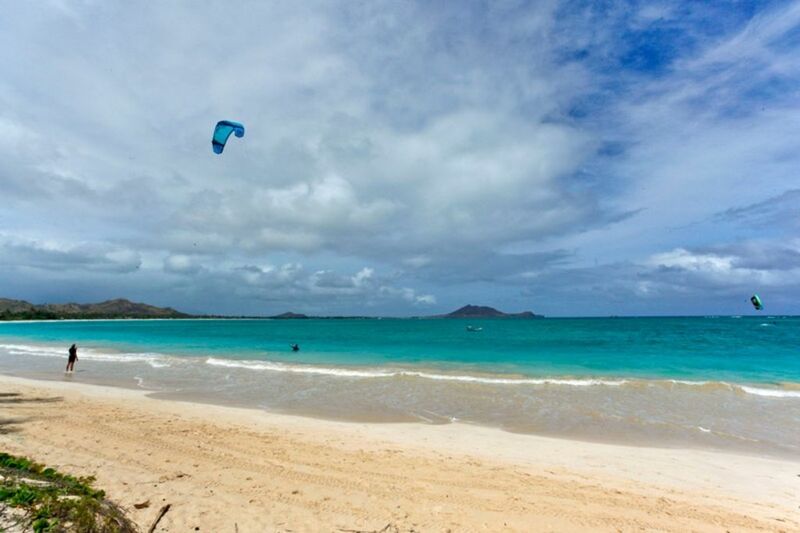 Just a two minute (75 yard) walk to beautiful Kailua Beach using our private beach access! Air conditioning and Wifi included. Completely new kitchen and bathroom in late 2018. This lovely 'hawaiian-style' 700 square foot studio features vaulted ceilings, a large tiled bathroom and a kitchen, as well as beautiful wood flooring throughout. It has a partial ocean view with nice trade winds on the private upstairs slate lanai. On-site parking is included. The studio is detached from the main house, separated by a large yard. It has a private entrance and no shared walls. Nicknamed 'The Treehouse' due to the many surrounding trees and island-style landscaping. Walk to historical Kalapawai market, Bob's Pizza, and Island Snow Shave Ice. You will feel like you're in paradise, surrounded by tropical trees and plants of all types. Partial ocean view (dependent upon neighbor's tree trimming). We loved this place - it was clean, nicely appointed, comfortable and in a great location. Short walk to an incredible beach, easy walk to town for shops, restaurants and the not-to-be-missed farmers' market. It came with boogie boards, beach chairs, towels, a cooler, and snorkels. Everything you need with staying at the beach. Loved the tree-top location, views of the ocean and nice deck to hang out and people watch. I highly recommend this property and will definitely be back! Charming studio with sound of ocean waves as you sleep. We loved our stay here in Kailua. The beach is just steps away. Thanks for beach towels and chairs . We would love to come back ! Nice open design, great location. Beach access. Full kitchen. Comfortable bed. Peak-a-boo ocean views. We have stayed here several times and always enjoy the quiet and beautiful space, and the closeness to the beach. This guesthouse has been recently remodeled with a new kitchen and bathroom, so is even nicer. We look forward to staying there again! Aloha Kate! It's always great to have you as our guest! !